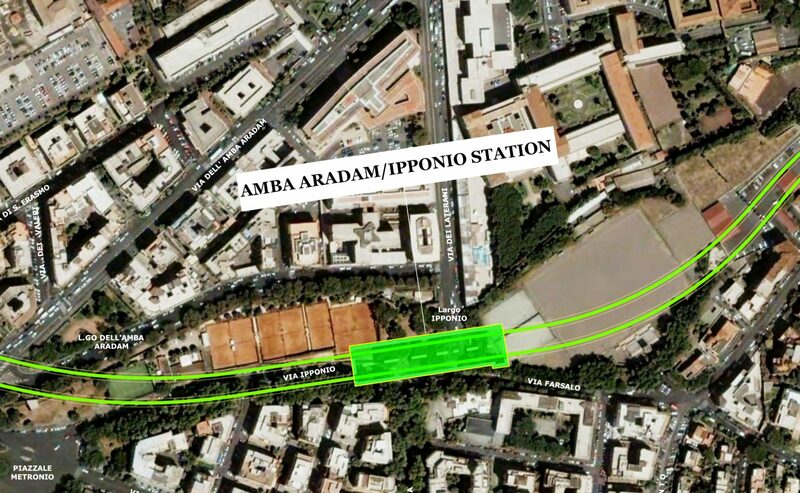 The Amba Aradam–Ipponio station is placed in an intermediate position between the Fori Imperiali station (Line C/Line B interchange) and the San Giovanni station (Line C/Line A interchange), about 500 metres south of Piazza di San Giovanni in Laterano and 300 metres from the entrances to the hospital by the same name, bounded to the north by Via dei Laterani, to the west by Piazzale Ipponio, to the south by Via Farsalo, and to the east by the Romulea football fields. – the third, serving the vast residential areas to the southeast of the station, is located on Via Farsalo, and consists of one staircase and one escalator. The latter entrance will also have a lift linking the road level to the lobby level. The station extends for approximately 115×30 metres, and more than 30 metres in depth, on 5 levels done in Top-Down mode. Four groups of turnstiles, two for the entrance and two for the exit, enter the controlled area from which the levels beneath are accessed, down to the trains at the platform, by means of three one-way staircase/escalator units, each formed by a staircase and two escalators. The Station’s functional typological scheme is with central platform 110 m in length, and 4.0 m wide. Along the section stretching from Via La Spezia to Largo Amba Aradam, characterised by imposing backfilling layers involving pre-existing ancient elements, the Archaeological Superintendency required carrying out all the works involving these layers with open-cut excavation techniques, and without being able to perform consolidation works prerequisite for the performance of underground works. These decisions necessitated lowering the line tunnels in order to be able to position them beneath these layers, as well as reducing the station constructions where possible. The archaeological surveys in the Line C Amba Aradam station were carried out in the months of November/December 2015 and, after stalling, were resumed in March 2016. The archaeological finds cover an area of 1,753 m2. A discovery of exceptional interest, emerging at a depth of 9 m, is part of a barracks-castra that may be dated to the first half of the second century AD, and most likely to the time of the Emperor Hadrian: opening from a long central corridor are 39 rooms, 25 of which square, similarly sized (ca. 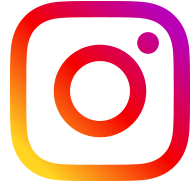 4×4 m = 16 m2 each); some conserve the geometrically patterned mosaic floors in black and white tesserae, as well as simply frescoed plaster on the walls. The building was abandoned, stripped of reusable materials like lead piping, partially razed and, in the end, buried during the construction of the Aurelian Walls (271-275 AD): in fact, the defensive wall was supposed to have, in front, a clear area that could be easily monitored, without constructions that could protect or hide any enemies. 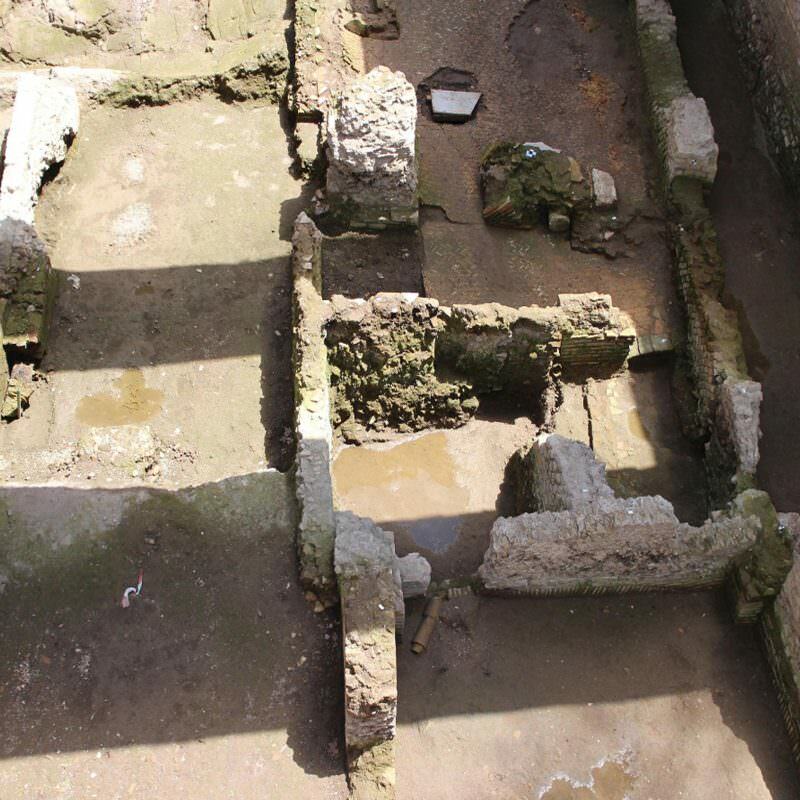 The actual size of the barracks is unknown: the architectural type everywhere in the Roman world consists of parallel corridors onto which the soldiers’ lodgings opened, organised on two levels including such service facilities as galleys and latrines. The Amba Aradam barracks was built along a watercourse that ran parallel to the later Aurelian Walls. The discovery also owes its importance to its position; along the southern slopes of the Caelian Hill, the remains of a number of barracks have been unearthed in different periods: Castra Nova Equitum Singularium beneath the Archbasilica of St. John in Lateran; Castra Nova Equitum Singularium at the entrance to modern-day Via Tasso; and Castra Peregrina, near the church of Santo Stefano Rotondo. Lastly, a recently discovered fragment of the large, marble map of Rome, Forma Urbis Romae, put up by Septimius Severus in the Temple of Peace, reproduces the layout of another barracks located near Villa Celimontana. Following this important discovery, the Superintendency, to safeguard and capitalise on the finds, prescribed revising the design.